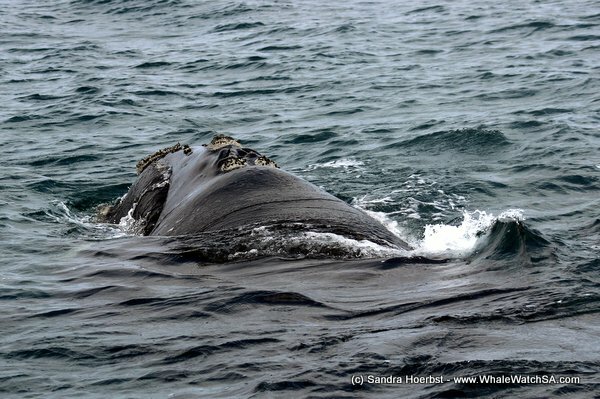 Although the sky was covered in clouds, it was a perfect whale watching day. 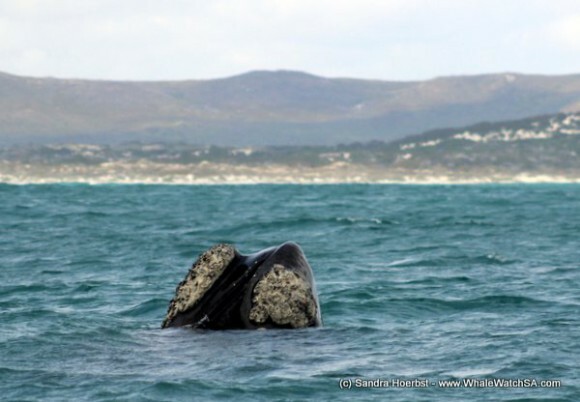 The day dis start with a curious Southern Right whale close to Uilenkraalsmond Beach. 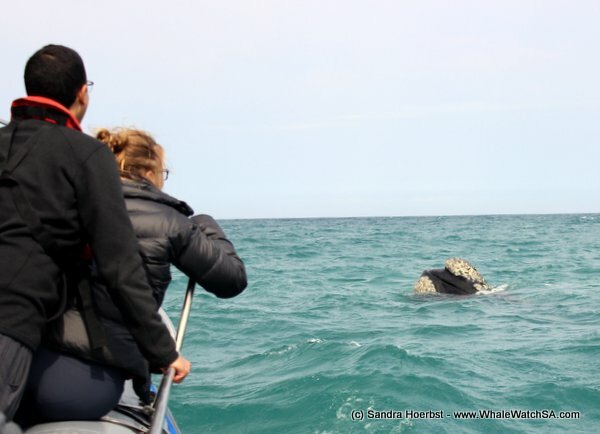 After watching this whale we did continue our journey to Pearly Beach. 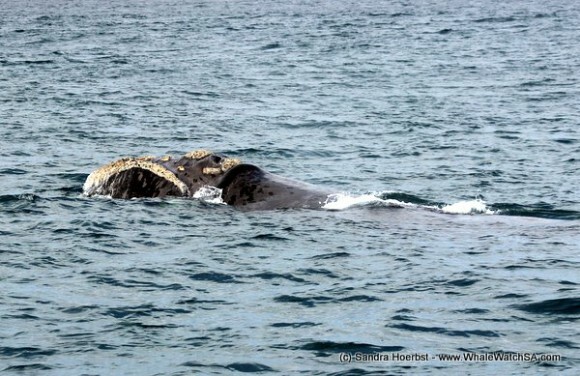 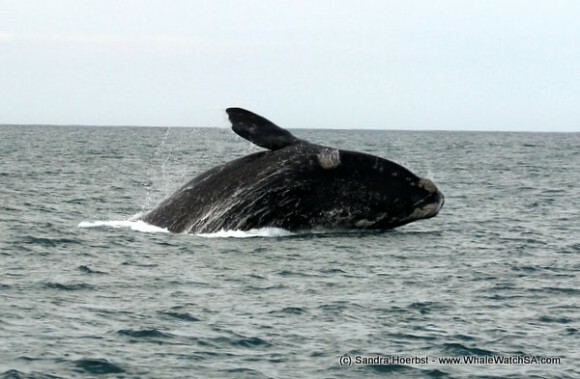 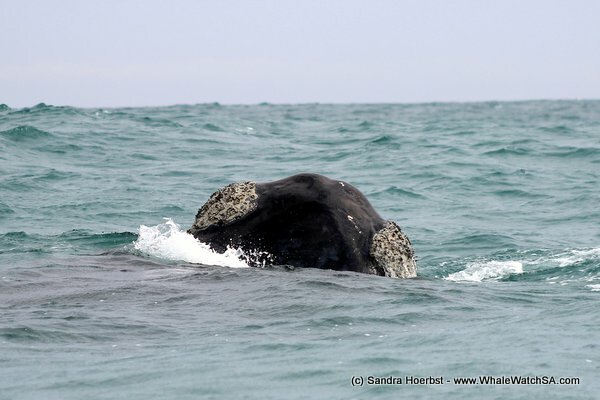 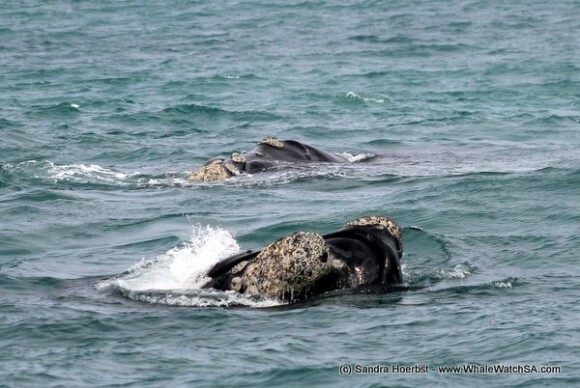 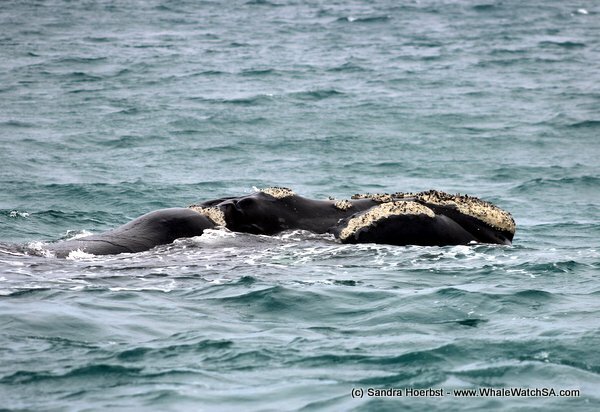 In the pearly Beach area we found many Southern Right whales and they were really active today. 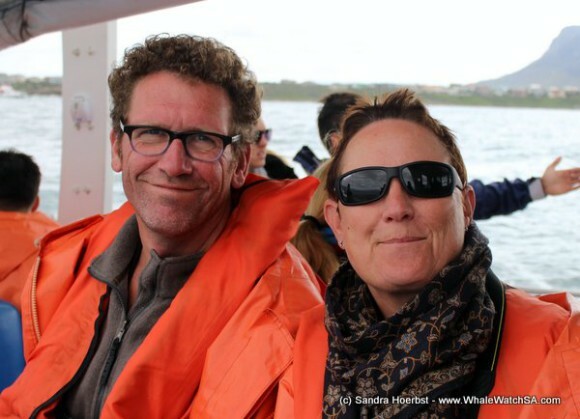 We were lucky and saw breaching whales on all three trips. We also spotted a single Humpback dolphin in the distance. 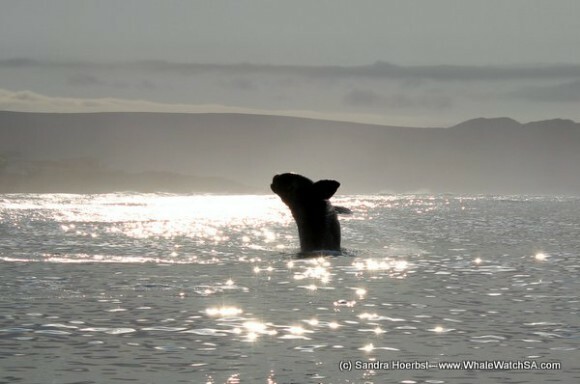 The day at Pearl Beach did end with breaches and flukes. 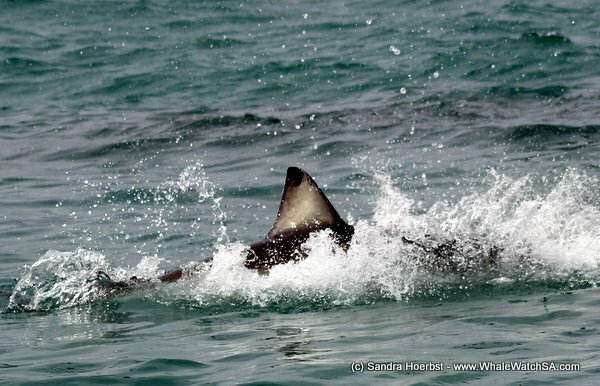 We also spotted sharks around the shark cage diving vessels. 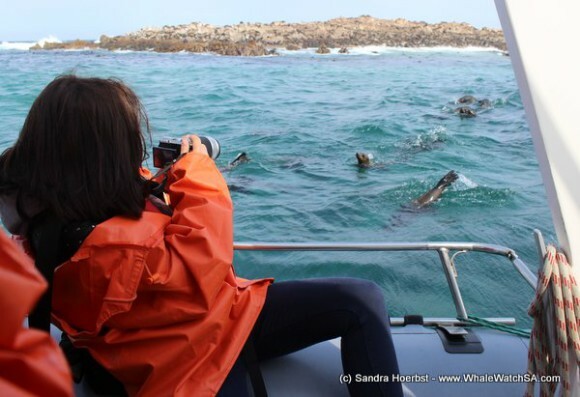 After watching these amazing animals we made our way to Shark Alley to see the Cape Fur seals. 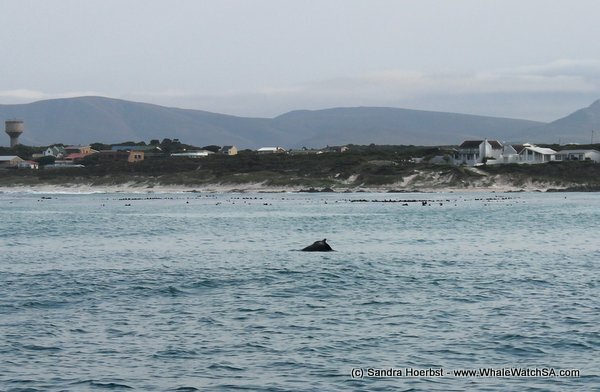 Arrived in Shark Alley we were so lucky and saw a predation of a Great White shark, how amazing is that! 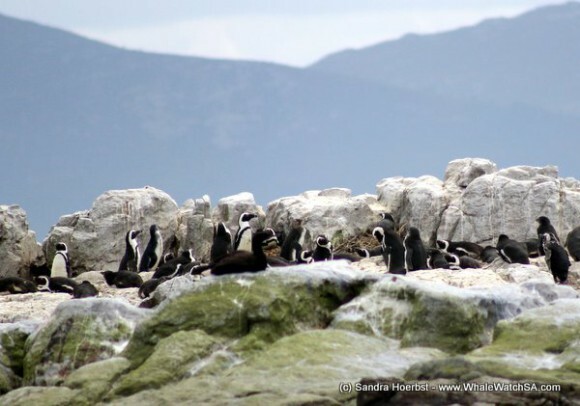 On our way back to the harbour we stopped at Dyer Island and had a look at the African penguins. 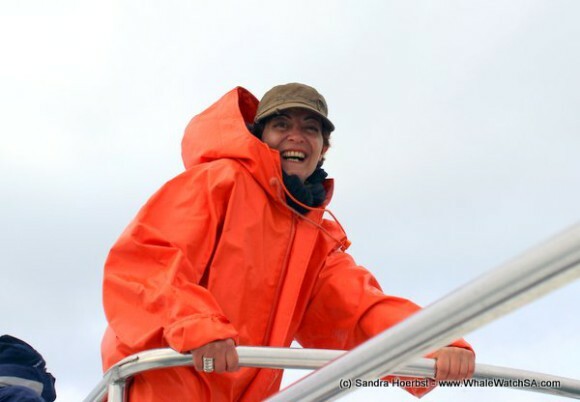 After a fantastic day at sea I’m looking forward to another sea day tomorrow.